Ewart Brown allegedly directed much of Bermuda’s health-care business to Lahey. Lahey Hospital and Medical Center on Friday fired back against a civil lawsuit accusing it of running a racketeering conspiracy and paying bribes to gain business in Bermuda, saying the island’s government has offered no evidence of wrongdoing. In a federal lawsuit filed in February, the government of Bermuda alleged that Lahey and Dr. Ewart Brown, a physician and former premier of the island, ran a sweeping, two-decade long scheme involving money laundering, mail fraud, and corruption. The suit alleges that Lahey paid bribes to Brown disguised as consulting fees, and that in exchange, Brown directed a large share of the island’s health care business to Lahey, including lucrative contracts to interpret thousands of MRI and CT images. Lahey urged a federal judge Friday to dismiss the lawsuit, arguing that its business arrangement in Bermuda was legal and proper. The suit is “baseless,” Lahey said, and is designed to smear the name of Brown, a well-known but controversial political figure in Bermuda. “The complaint attempts to transform a routine consulting arrangement between a hospital and a doctor into a fraudulent bribery scheme,” Lahey said in its court filing. The Burlington-based hospital, formerly known as Lahey Clinic, has ties to Bermuda spanning 25 years. It regularly dispatches doctors to the island to see patients there, and also treats Bermudians who travel to Burlington for treatments and surgeries. “We are committed to defending this frivolous lawsuit and will do so throughout every step of the legal process,” Murphy said by e-mail. Lahey is fighting the lawsuit while it negotiates a merger with Beth Israel Deaconess Medical Center. It is not unusual for hospitals to hire consultants to help them navigate and gain business in new markets, but the lawsuit casts Lahey’s agreements with Brown as highly unusual and unlawful because they continued while Brown worked in government. “We look forward to responding to the motion at the appropriate time in court,” said Luke Cadigan, a lawyer at Cooley LLP in Boston who represents the government of Bermuda, a British territory. The government’s 50-page complaint claims that Lahey and Brown profited “wildly” from their alleged scheme. Brown pocketed millions in payments from Lahey over the years, it says, while Lahey became a dominant health care provider on the island. But while they profited, health care costs rose for the people, the government, and insurers in Bermuda, the suit says. It alleges that Lahey violated several laws including the Foreign Corrupt Practices Act, which bans payments to foreign government officials in order to obtain or retain business. The Bermuda government is seeking unspecified damages. Lahey’s court filing acknowledged the hospital’s dealings with Brown and his medical clinics — including while Brown was premier of Bermuda from 2006 to 2010. 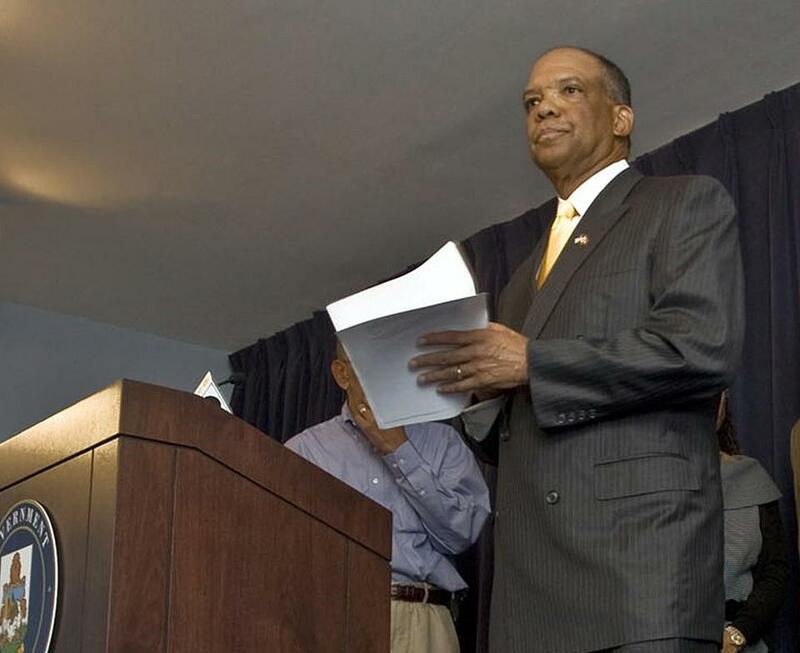 In 2001, Lahey agreed to pay Brown $125,000 annually for his help identifying opportunities for the hospital to grow market share on the island. Lahey also signed a contract to pay $200,000 a year to Brown’s clinic, Bermuda Healthcare Services Ltd. Similar agreements between Lahey and Brown continued until early 2016. But Lahey said the Bermuda government lacks evidence and specifics for its allegations of wrongdoing. “The mere fact of a consulting relationship does not establish fraud,” the hospital said. In response to one allegation — that Lahey and Brown concocted a scheme to subject Bermudians to excessive and unnecessary imaging tests — Lahey said the responsibility lies with the various doctors who ordered the scans and the insurers that paid for them. Lahey radiologists “merely” read the MRI and CT scans after they were transmitted to Massachusetts, the hospital said. Brown, in a previous interview with the Globe, defended his role in building a partnership with Lahey to boost medical care in Bermuda. He said the island lacked doctors in many medical specialties, and Lahey helped fill some of the gaps. Brown has been investigated by Bermuda authorities but is not named in the government’s suit against Lahey. Brown said in a statement Friday that the lawsuit is “a politically motivated witch hunt in Bermuda, that has stretched to Boston.